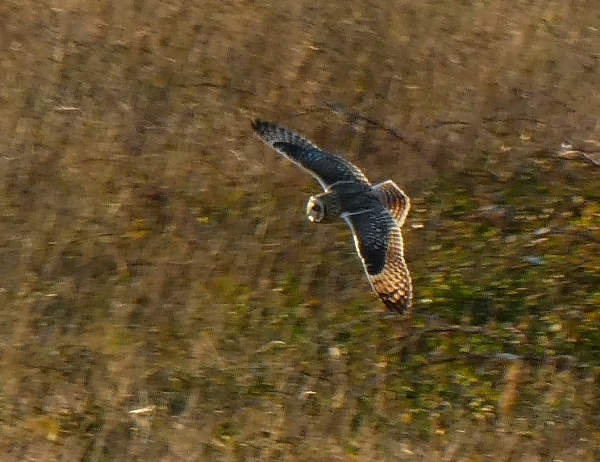 Today I was joined by Guy Campbell, my local birding pal, for a day's birding on Portland. Guy came to my house at 8am and off we went. 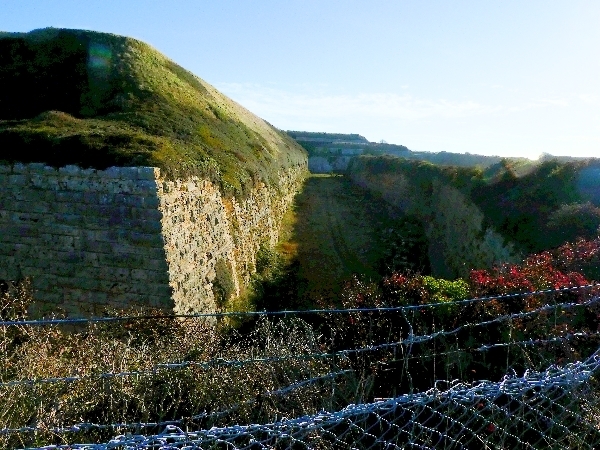 Just before 9am we arrived at Verne Common, Portland, where a 19th Century Citadel houses a category C prison which opened in 1949. A dry moat surrounds the citadel and this is where many reports of Ring Ouzel sightings have come from over the last few days. The walls of the dry moat are draped in Catoneaster plants which are covered in berries which are favoured by thrushes. 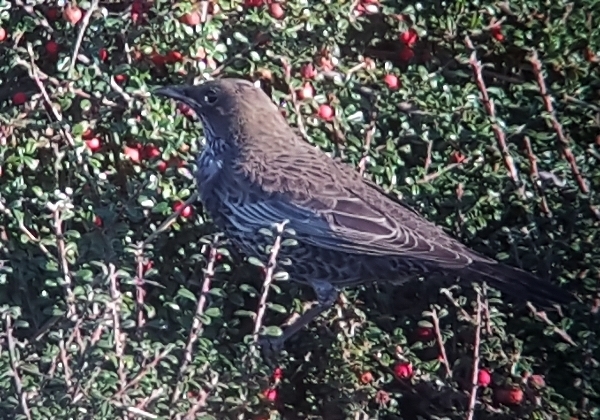 It was about 30 minutes into our search when we found a juvenile Ring Ouzel, it showed very well as it fed on the berries. 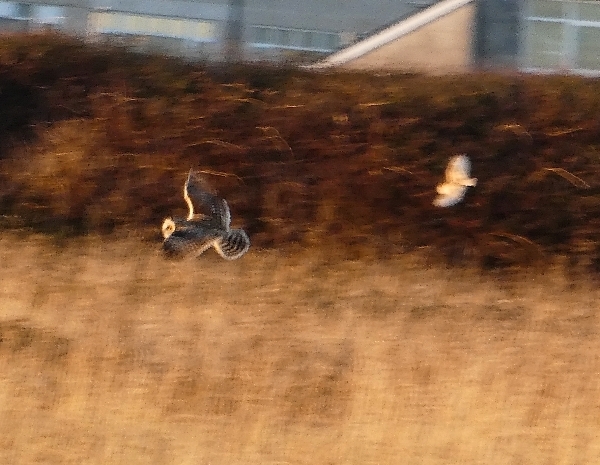 We walked a fair way along the moat wall looking for other birds, we found Blackcap, Common Kestrel, dozens of Jackdaws, a few Stonechats and a probable second Ring Ouzel. We left Verne Common at 11 am and made our way to Pennsylvania Castle near Western. It had warmed up quite considerably by now and the cool breeze of earlier had dropped right away. 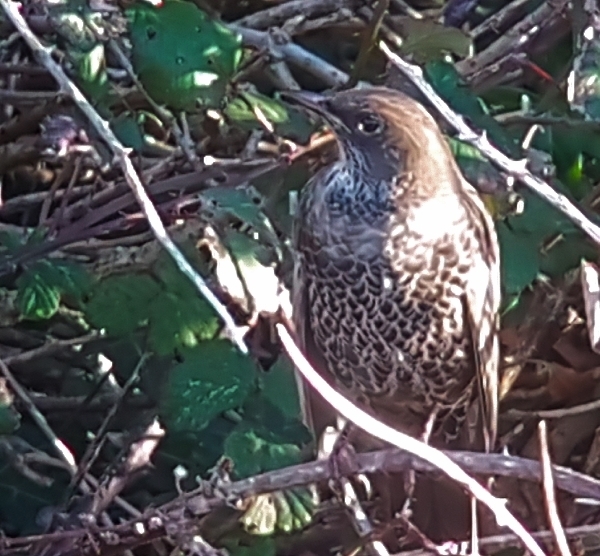 This didn't help us as we searched for a Yellow-browed Warbler which had been seen recently in the trees in the castle grounds. Next we visited the Portland Bird Observatory which is housed in the Old Lower Ligththouse, however the only thing on offer was a cup of coffee, they hadn't had any birds in the nets today. For the next couple of hours we walked down to Portland Bill Lighthouse and then up to the top fields, finding a few species but nothing too special. 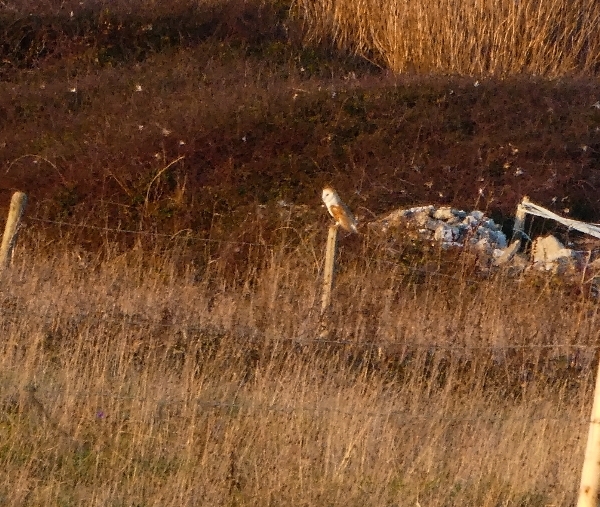 Rock & Meadow Pipits, Northern Wheatear, Eurasian Skylarks, Linnets, Goldfinches and not much else. We returned to the Bird Obs' to collect our car and we headed to an area of trees near the 'Grove'. We searched the trees for an hour and finally caught up with a couple of good birds. Two Firecrests showed well and Guy had a brief view of a Yellow-browed Warbler, we also saw Goldcrest, Blackcap and a Chiffchaff. 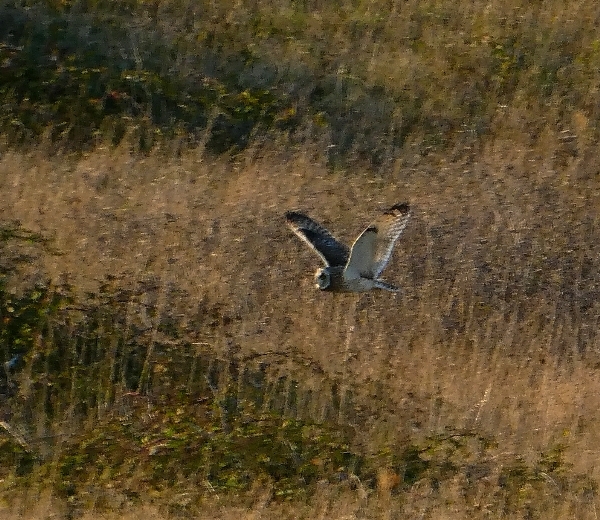 For the last hour or so we returned to the tops fields and had a fantastic time watching Shoret-eared Owls, there were three of them hunting over the fileds and a little later they were joined by a Barn Owl. How amazing was that!!?? It was great way to end a very enjoyable day, superb birding, fantastic weather and a wonderful sunset to finish the day.